Real Madrid entertain Rayo Vallecano on Saturday as they look to return to winning ways after suffering a 3-0 home defeat to CSKA Moscow in the midweek Champions League fixtures. The last time these two sides played at the Santiago Bernabeu, Real dismantled Vallecano, running out 10-2 winners. It is unlikely that the score will repeat itself this weekend, but in football you never know. Here we preview the best potential Real Madrid lineup to do the business. 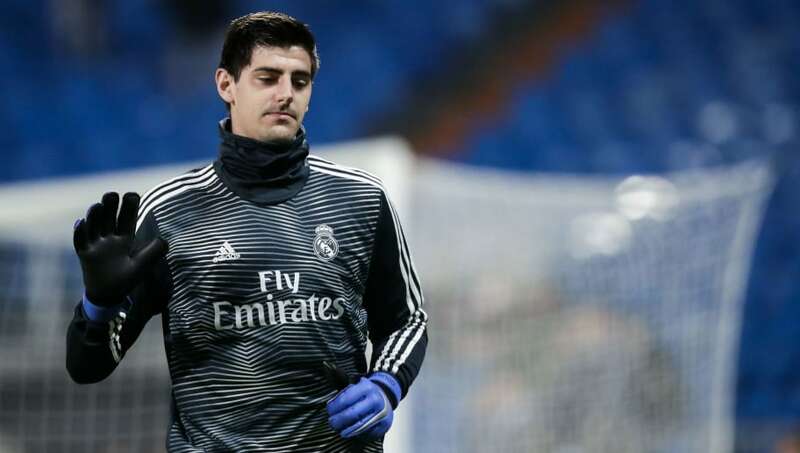 Thibaut Courtois (GK) – Santiago Solari didn’t play Keylor Navas as expected against CSKA, which indicates that Courtois is getting a consistent run in the side. Dani Carvajal (RB) – Carvajal came on for the last 16 minutes against CSKA and didn’t have sufficient time to impact the game. He is one yellow card away from suspension in La Liga so needs to watch his step. Sergio Ramos (CB) – Captain and leader, Ramos will be expected to lead the defensive line with Los Blancos looking to pick up all three points to close the gap to Barcelona to just two points before they play on Sunday. Raphael Varane (CB) – Left out of the starting XI to face CSKA, Solari will be hoping his French World Cup winning defender is expected to return to the side against Rayo. Marcelo (LB) – Marcelo hasn’t featured in La Liga since the 3-0 defeat to Eibar on the 24th November and after playing 75 minutes against CSKA will be looking to return to league action this weekend. Luka Modric (CM) – The Croatian missed out against CSKA, and hasn’t actually featured for a full 90 minutes since the 4-2 win over Celta Vigo on the 11th November. Dani Ceballos (CM) – Ceballos has featured in 12 of Madrid’s 15 La Liga games this season and has impressed in the middle, with a pass completion rate of 94%. Marcos Llorente (CM) – A product of the Madrid academy, Llorente has featured more regularly recently and is expected to continue to anchor the midfield here in the absence of Casemiro. Marco Asensio (RW) – Gareth Bale was injured during the CSKA defeat and wasn’t in training on Friday. Spain international Asensio could be given the nod ahead of the Welshman. Karim Benzema (ST) – Looking increasingly likely to becoming the main man at Los Blancos, Benzema has always divided opinion but has shown time and time again that he can finish – netting eight goals in all comps this season. Lucas Vazquez (LW) – Started just four La Liga matches this season, after featuring nine times from the bench. He has two goals in all competitions so far and will be hoping to increase his tally against Rayo.